RS-R Camber Adjustable Pillow-Ball Upper Mounts to replace default Bushing Upper Mounts. 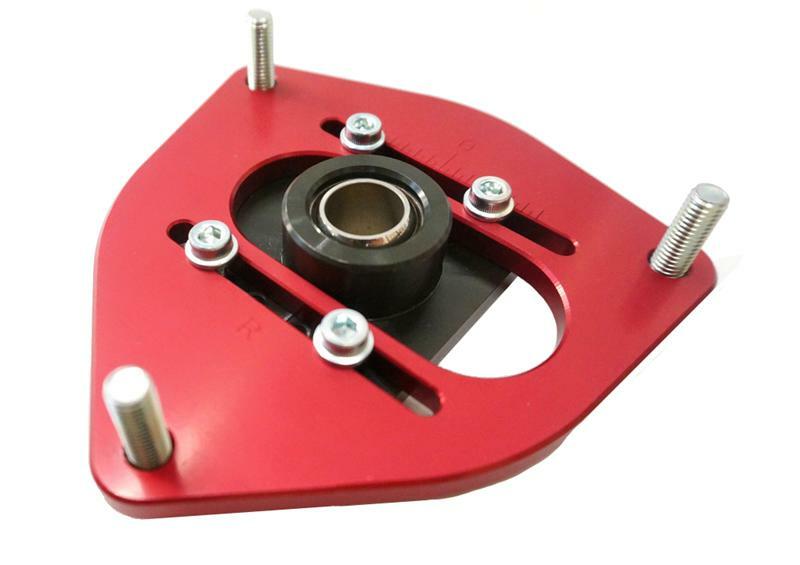 These upper mounts allow for fine camber adjustments and improves performance and control. Ride quality and comfort will be loss due to swapping out the Urethane Bushing Upper Mounts.